It seems illogical to view New York City Ballet's Bournonville renaissance as fresh, as opposed to what defines new—brand new work by young choreographers, increasingly by men such as Justin Peck and Troy Schumacher, from the company's ranks. Bournonville (1805—79) is about as ancient a ballet choreographer as we see, and at that, we see very little. But we must thank Ballet Master in Chief Peter Martins for putting together a program of Bournonville Divertissements (1977) and La Sylphide (1985), performed on the evening of the company's spring gala. Apart from a story with a melancholy ending such as La Sylphide, Bournonville's choreography, as noted previously, is often characterized by a multitude of petit and grand allegro steps, and a generally sunny mood. Dancers are in the air more than they're on the ground. The style makes use of deep pliés from which to spring upward. There is rarely a moment of stasis. The body is an axis, and the turned-out fifth position a ready-set-go point from which to move in any compass direction, and up and down, with fluidity, delicacy, and ease, despite the speed and challenging technique. 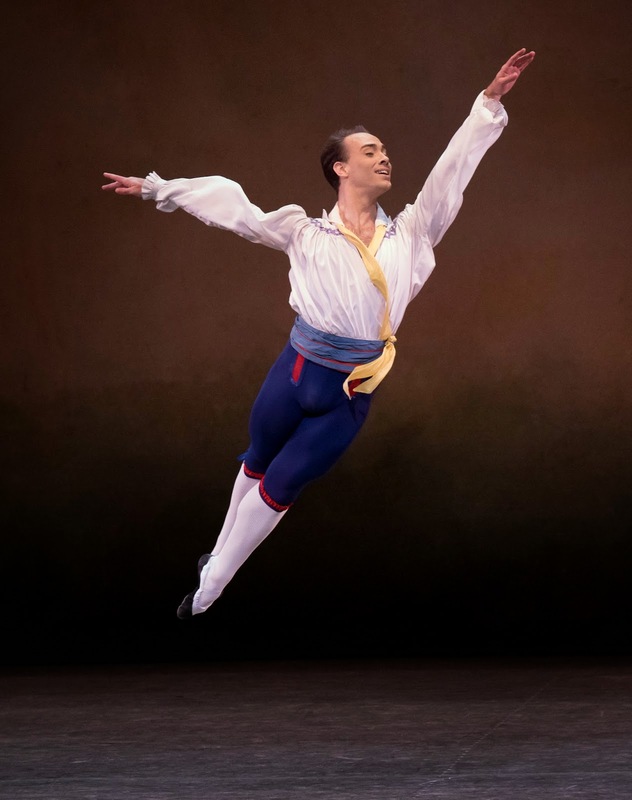 The Divertissements' many sections, derived from Bournonville's Napoli, Flower Festival in Genzano, and Abdallah, offered choice spotlights for many of the company's fleet-footed dancers. Erica Pereira danced with Allen Peiffer, whose shorts and sailor top gave him the look of a teenager. But it simply contributed to an air of youthfulness and promise. Tyler Angle excelled in the style, unsurprisingly, given his lofty ballon and deceptively effortless bearing. But Sara Mearns, somewhat unexpectedly, managed to articulate each position; her broad dramatic sweep and luxuriant emphasis no hindrance. Amar Ramasar and Adrian Danchig-Waring partnered Lauren Lovette and Lauren King (both delightful), Rebecca Krohn (with a warmer demeanor than ever), and Megan LeCrone, whose cool modern outlook was somewhat at odds in the work. Anthony Huxley, who danced the gem of a short solo, was superb as always. The entire cast, beating tambourines, took turns dancing and goading on the others in the jubilant, earthy Tarantella. 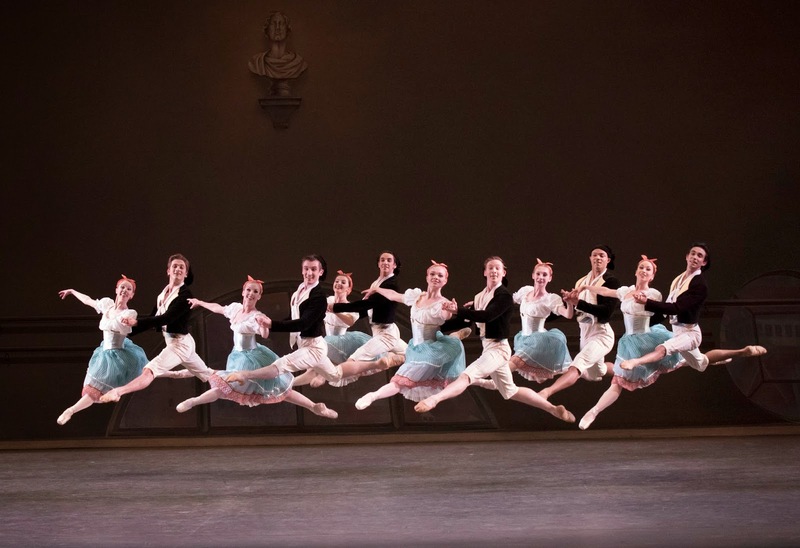 La Sylphide made its NYCB premiere in a staging by Martins. This production debuted at the Pennsylvania Ballet in 1985, with bright, mannerist sets by Susan Tammany, who also designed the kilts of purple tartan (read the fascinating story about how she also ushers). It's a bit of an odd duck of a ballet; two acts without an intermission. But it contains some great roles for a few dancers, including the previously mentioned De Luz, more radiant and magnetic than ever before, and like so many of the company's many principals, underused. Sterling Hyltin is ideal for the Sylph, whisper-light and delicate, and, as needed, alternately strong and frail. Georgina Pazcoguin played Madge, the witch, with ravenous, and at times contemporary, gestures, reinforcing her reputation as the company's leading character actress. Daniel Ulbricht danced Gurn, the spurned, yet ultimately redeemed suitor. The role is shallow enough that he made little memorable of it. This dose of Bournonville is welcome, even in a repertory chock full of Balanchine and the talents of many youngsters. It also shows that the company can handle any challenge with flair.